A page of media articles and interviews, here. Susan Collett graduated from the Lacoste School of Art (France) and the Cleveland Institute of Art. 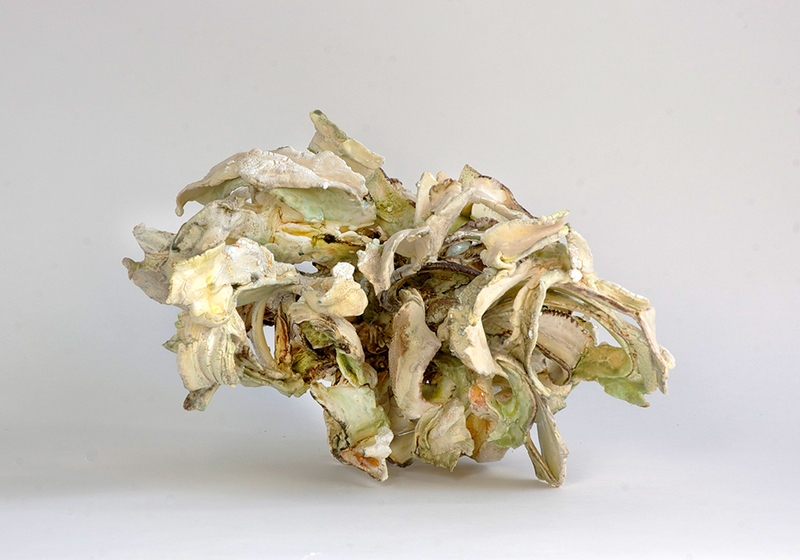 In 2001, she was awarded the first national Winifred Shantz Award for Ceramics. She was elected to the International Academy of Ceramics in 2008. 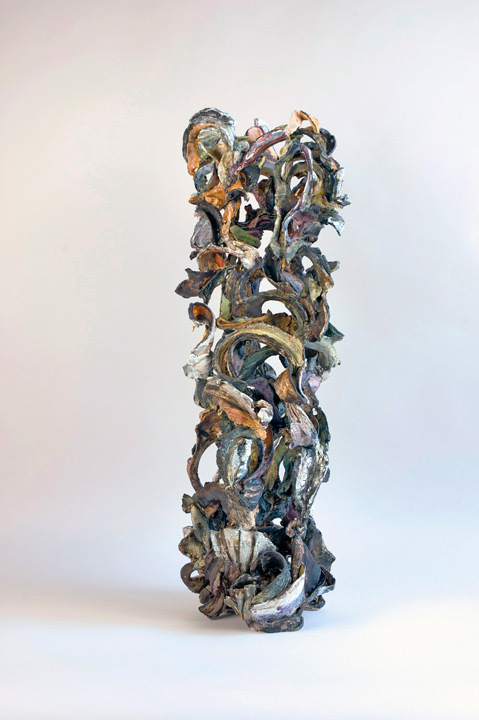 Her works have been exhibited internationally and are in numerous significant collections including the Bata Shoe Museum, Canada House, London, England, The Crown Collection of the Official Residencies of Canada (Rideau Hall), Gardiner Museum of Ceramic Art, Tom Thomson Memoral Art Gallery, Trump Tower (Miami), and the World Ceramic Centre (Korea). Ceramic arts are very undervalued IMHO. People want to think of pots, bowls & curios, but there is a world of art more. You’re right about undervalued. But one of my favourite mediums. Really beautiful work. A wonderful use of the organic hazard/chance of the firing process.